The Middlebury College Observatory dome, located atop McCardell Bicentennial Hall on the Middlebury campus, houses a 24-inch (0.6-meter) aperture, f/8 Ritchey-Chrétien reflecting telescope. 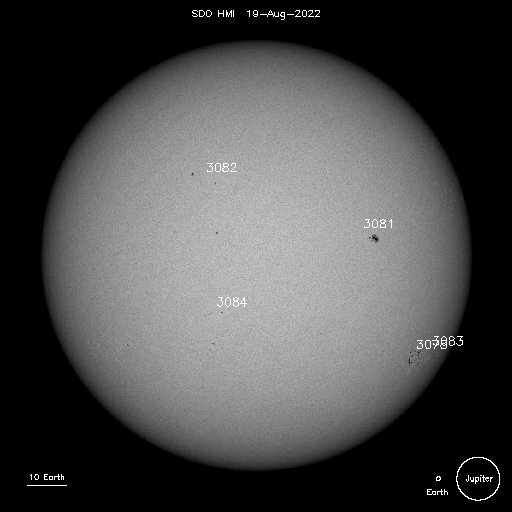 The telescope is equipped with 2048×2048-pixel and 4096×4096-pixel CCD cameras for direct imaging, has the capability of mounting a grating spectrograph directly on the telescope, and supports visual observing with an eyepiece. The original telescope and instrumentation were funded in part with grants from the National Science Foundation and the Kresge Foundation. The telescope was installed in February 2001 (see images below). 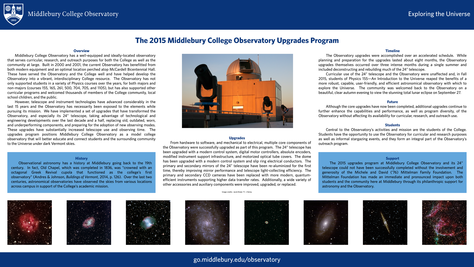 Major upgrades to the telescope, dome, and instrumentation, as well as optics re-aluminization, were performed during the summer of 2015 with support from the Michele and David Mittelman (’76) Family Foundation (see image above). The telescope was manufactured by DFM Engineering of Longmont, Colorado, the dome was manufactured by Ash Manufacturing of Plainfield, Illinois, and the instruments were manufactured by Finger Lakes Instrumentation of Lima, New York.